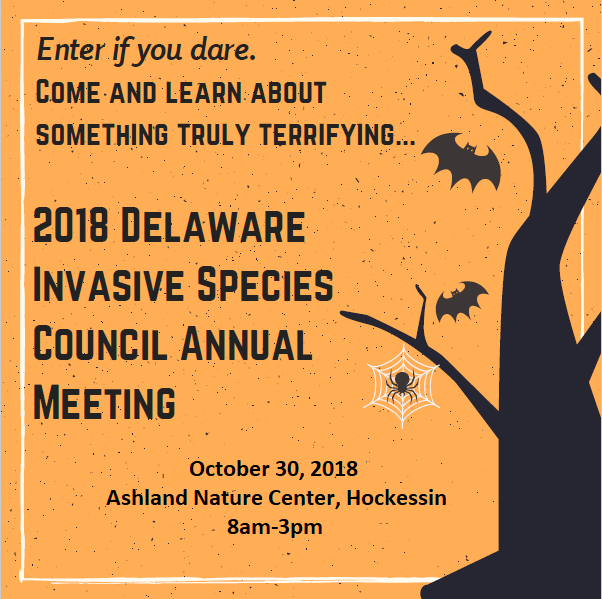 Delaware Invasive Species Council, Inc. – Protecting Delaware's ecosystems by preventing the introduction and reducing the impact of non-native invasive species. Delaware Invasive Species Council, Inc. Protecting Delaware's ecosystems by preventing the introduction and reducing the impact of non-native invasive species. What is an Invasive Species? National Invasive Species Awareness Week 2019 is wrapping up. 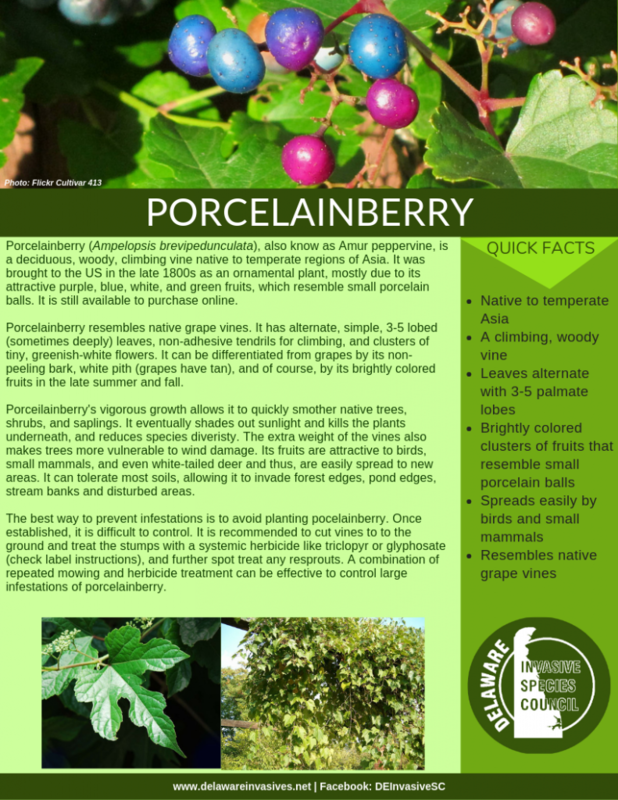 Our last invasive species of the day is Porcelainberry. Click the image below for a full .pdf factsheet! National Invasive Species Awareness Week continues! 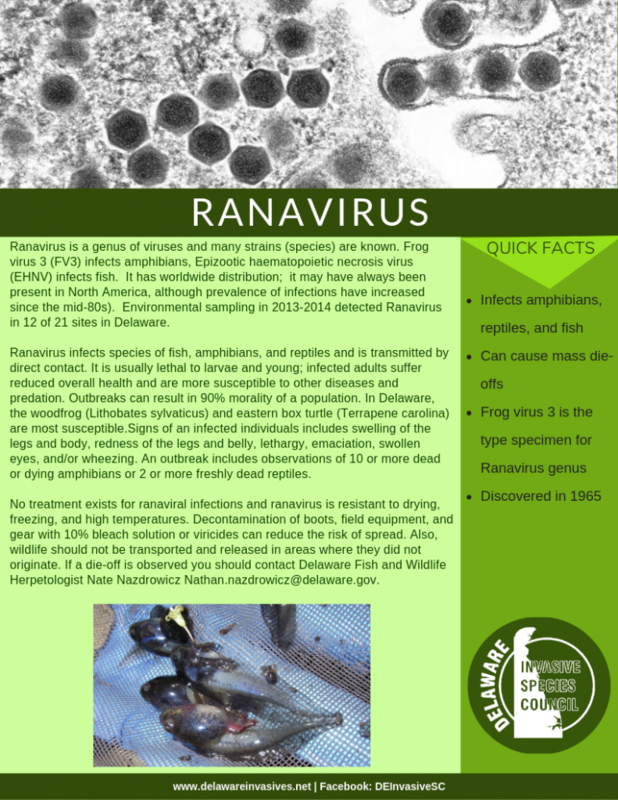 Today’s invasive species of the day is Ranavirus. Click the image below for a full .pdf factsheet! National Invasive Species Awareness Week continues! 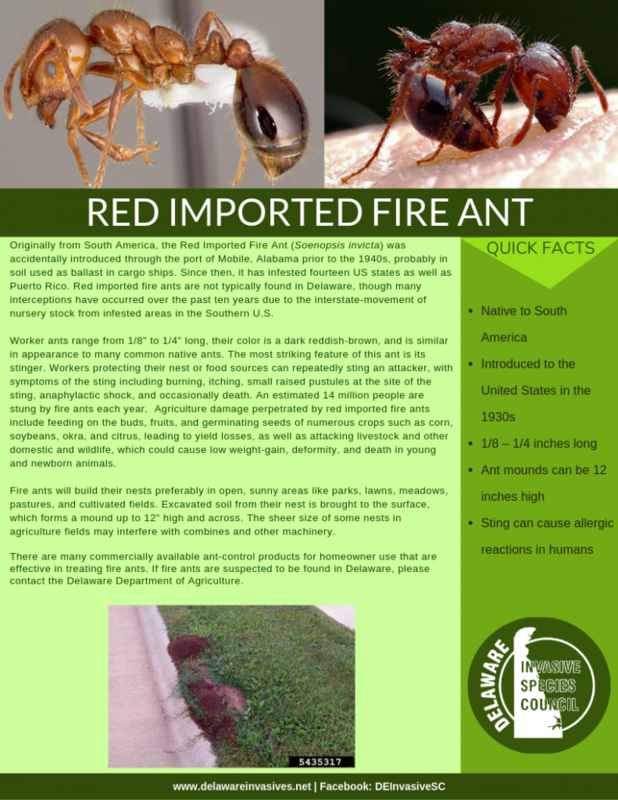 Today’s invasive species of the day is Red Imported Fire Ant. Click the image for a full .pdf factsheet! National Invasive Species Awareness Week continues! 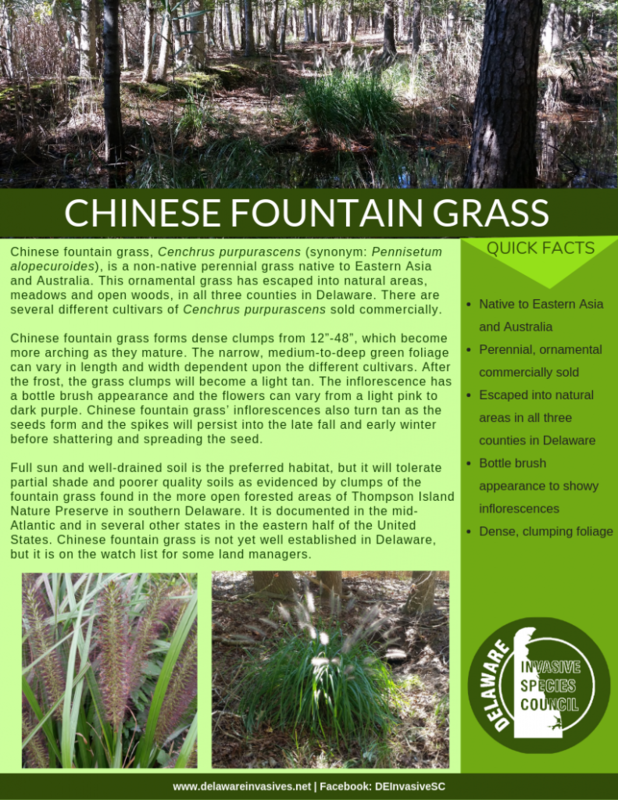 Today’s invasive species of the day is Chinese Fountain Grass. Click the image for a full .pdf factsheet! February 25 through March 3, 2019 is National Invasive Species Awareness Week! In recognition of NISAW, DISC will be posting an “Invasive Species of the Day” throughout the week. 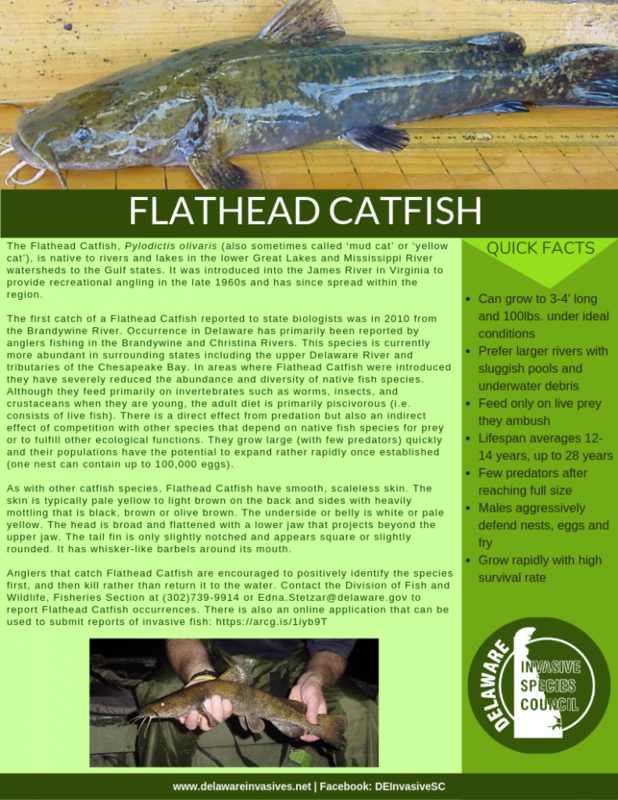 Today’s highlighted species is Flathead Catfish. Click the image below for a full .pdf version, and please spread the word! Grant Opportunity from the Mid-Atlantic Panel on Aquatic Invasive Species! The Mid-Atlantic Panel on Aquatic Invasive Species is requesting proposals for their annual small grant competition. The deadline for applications is March 11, 2019 at 5pm. View the full request for proposals here, or visit MAPAIS’s Funding Opportunities page. The mission of the MAPAIS is to assist state and federal agencies and other stakeholders in developing and implementing strategic, coordinated, and action-oriented approaches to preventing and controlling aquatic invasive species (AIS) in the mid-Atlantic region. The driving force behind the mission is to strengthen cooperation, coordination, and communication on AIS issues within the region and beyond. Still on the fence about attending DISC’s 2018 Annual Meeting on October 30? Check out our agenda for the day! The morning is packed with talks, and the afternoon promises some awesome field tours! Register Here! — Hurry only a few spaces remain! For more information about this year’s meeting, check out the 2018 Annual Meeting page. DISC Small Grants Program Request for Proposals! The Delaware Invasive Species Council (DISC) is offering a small grants program and encourages interested groups and individuals to submit proposals for projects that address an invasive species problem in Delaware. Approximately $1,000 is available to fund one or several projects with a start date of January 1st, 2019 with a one year completion deadline. Please refer to the RFP for complete details. All proposals are due by 5 PM on November 15th, 2018. DISC Members Field Trip a Success! DISC members got a behind the scenes look on September 13 at Delaware Botanic Gardens at Pepper Creek. Our members toured the newly planted meadows, woodlands, and shorelines where we discussed restoration, invasive species control, and techniques used by the horticulturalists. 2018 Annual Meeting Registration Is Now Open! Register now for DISC’s 2018 Annual Meeting!